"Is there a way to download YouTube subtitles? I want all the subtitles available for the videos downloaded from YouTube (in different languages). I know how to download YouTube video file but the usual way I try results in videos without YouTube subtitles, any solutions? Also, is there any software I can use to streamline this?" "Does anybody knows a way to download subtitles from YouTube? I have tries some ways to do that, but most of time they fail. So I need another reliable YouTube subtitle downloader to download srt from YouTube. Any help will be appreciated." It comes with no surprise that YouTube video subtitles are so useful for many people. People can actually benefit a lot from the subtitles and captions in a YouTube video. Take the popular American sitcom The Big Bang Theory as an example, people who like the humorous and ingenious subtitles may want to save them offline, especially for those non-native speaker of the subtitles in a particular language who treat the subtitles as a way of learning. Besides, a video with subtitles can also bring better viewing experience for those who can't catch up with the speaking speed or have trouble in hearing. In a word, to download YouTube videos with subtitles is sometimes inevitable. A quick search on YouTube can bring millions of videos and movies with subtitles, but how to get subtitles on YouTube? 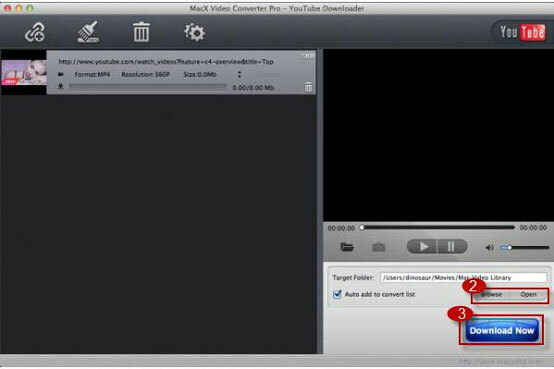 Here a reliable YouTube subtitle downloader is shared with you-MacX Video Converter Pro. This professional tool allows users to download YouTube videos with subtitles in one click, no matter 4K UHD 2160p, HD 1080p, 720p or SD videos. What's more, you are also given the freedom to convert the YouTube videos with subtitles to any formats MP4, MOV, AVI, MKV etc or directly to portable devices iPad, iPhone, Android. Also note that in addition to save subtitles from YouTube, it's also an expert in downloading subtitles, videos, movies, clips free from Facebook, Vevo, Vimeo, Dailymotion and 300 more sites. Just follow the guide on how to get subtitles on YouTube below to capture YouTube automatic captions and subtitles in minutes. Step 1: Download and launch this YouTube subtitles downloader. Launch it and play the YouTube video with subtitles. Then click "YouTube" button, copy and paste the YouTube URL to the type box. Or click "paste & analyze" button to automatically detect the YouTube videos on the opening website page. Step 2: Choose the output format from the format list or choose a device directly from the device profiles if you want to play it on mobile devices. Step 4: Hit the "RUN" button and start the process of YouTube subtitle files download process on Mac OS X. All the tasks can be finished at 5X fast speed and original quality. Note: You are thus allowed to download any videos and movies from YouTube with subtitles as you like, like the anime with English subtitles. Although the above YouTube subtitle download tool is always preferred whenever you want to save srt from YouTube, there are many other well-suited online sites and tools that can help you with this purpose. Below we list the top three sites for downloading YouTube video subtitles that might be helpful for you to capture subtitles from YouTube. KeepSubs is an online site offering service to save subtitles form Youtube, Viki, Crunchyroll and more directly. Options are also available for users to download YouTube subtitle files in more than one language. All you need is the YouTube video URL, just copy the URL and paste it in the input area and click Download. The downloaded YouTube subtitle file comes in SRT, which means you can play it on many media players. Google2SRT is a free online tool designed to download "not embedded" subtitles Closed Captions from YouTube or Google videos with nothing more than YouTube videos URL. The downloaded subtitles are also converted into the standard subtitle format SRT. Select and paste the URL, choose a language, then you can start to get subtitles on YouTube. Subscene is also an online sites to capture subtitles from YouTube videos and movies. If you know the exact name, you can get the subtitles easily. Also a wide range of languages are provided. 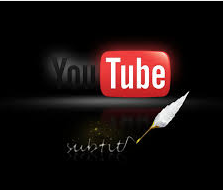 In addition to capture YouTube subtitles, if you want to add subtitles to YouTube MP4, AVI, FLV, MOV videos etc for uploading to YouTube, this YouTube subtitle downloader also helps. Before you go, you should have downloaded and prepared the subtitle .srt files you want to add. Step 1: Free download and run this subtitles to YouTube program and click "Add File" to import the video you want to add subtitles and upload to YouTube. Step 2: Choose the output format from the pop-up window. If your videos are not in formats compatible with YouTube, you can just choose one of the YouTube supported video formats like MP4, AVI, FLV etc. Step 3: Click "Edit" button on the main interface of this tool. Go and hit "Enable subtitle" -> "External Subtitle File" and press "Add" button to choose your saved .srt file. Move the mouse to "Done" button and click it to finish adding subtitles to YouTube video. Step 4: Hit the "RUN" button to start to put subtitles on the YouTube video on your Mac OS X. After a few seconds, you can upload the YouTube videos with subtitles in your preferred language. Sum: In a word, the all-in-one subtitle software MacX Video Converter Pro offers a comprehensive solution about adding, editing and downloading YouTube subtitles. Besides, it also serves as the best tool to upload, download and convert YouTube videos.